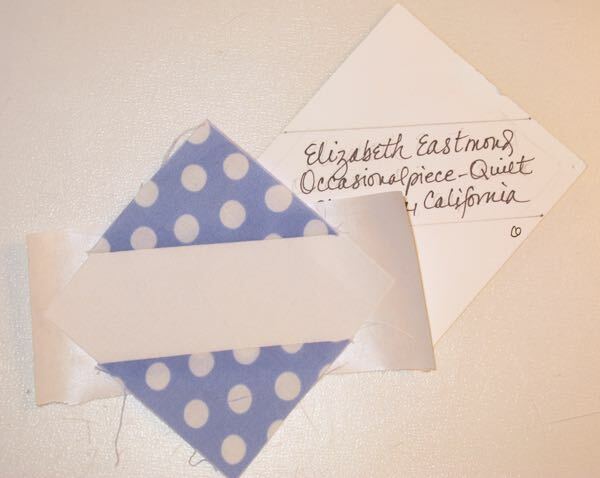 How to Make a Signature Block (for a Bee) | OccasionalPiece--Quilt! 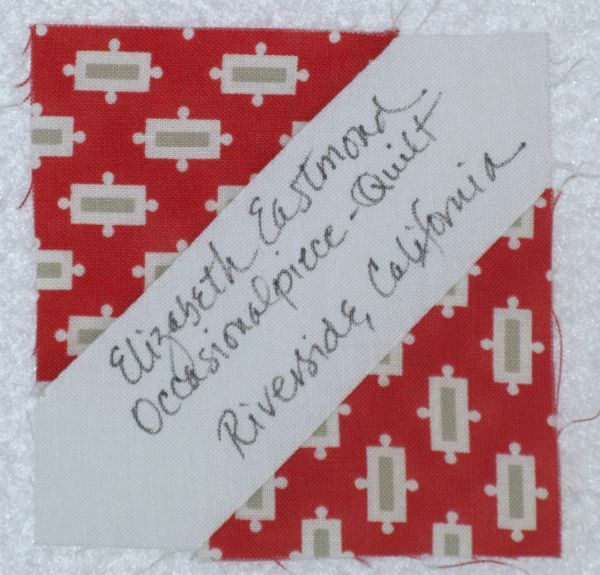 Posted on January 29, 2016 by Elizabeth E.
In two of the bees I’m in, we ask for Signature Blocks to be included with each block we make for each other. Here’s one of my earlier ones. I’m writing this post as a tutorial for the newer members of our bees. 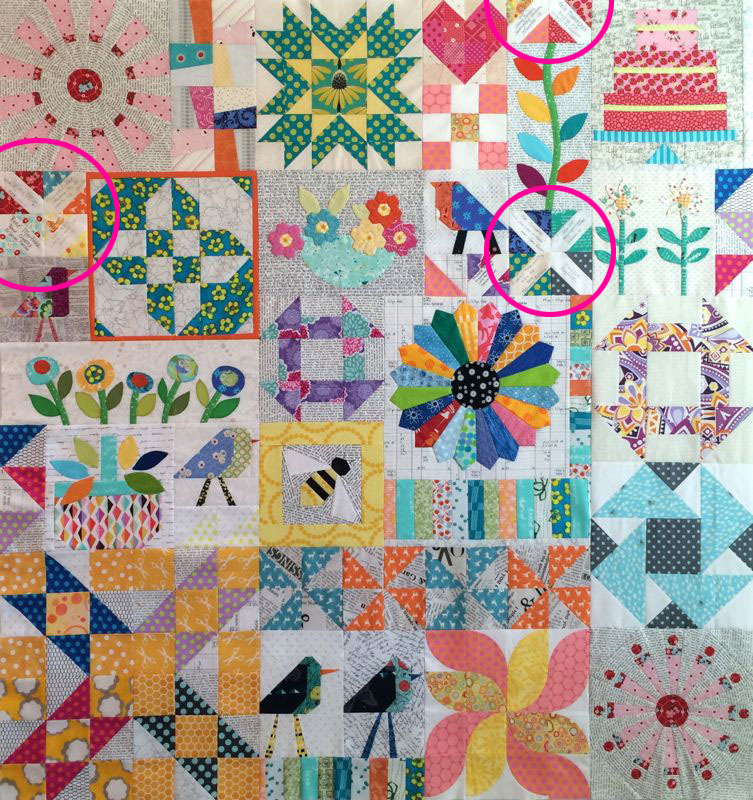 I worked them into the front of my Sampler Quilt (in magenta circles), a blatant copying of Carla’s inventiveness in an earlier quilt. 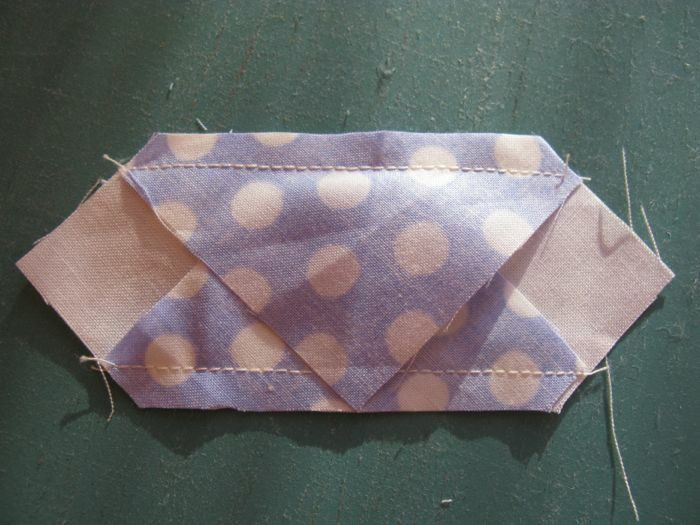 Start with one 3 1/2″ square (base) and two 2 1/2″ squares (accents). We generally use the fabric from our blocks. Snowball them onto two opposite corners. Trim off the excess, then press open. 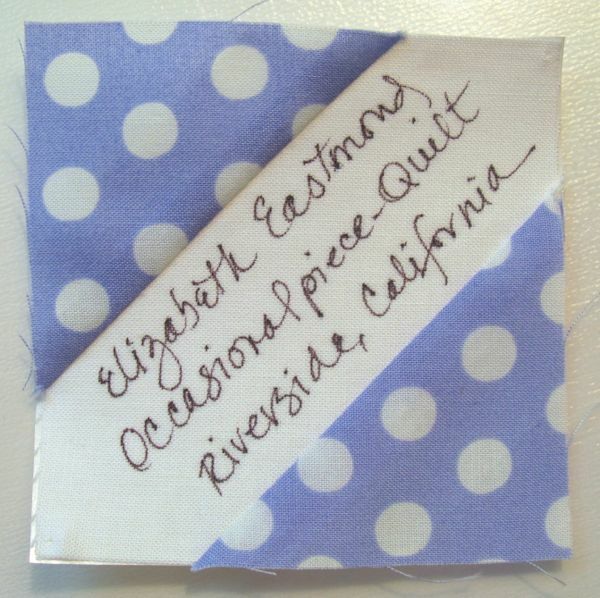 Press a scrap of freezer paper behind the center white band. Because I have a long name and a long screen name (what I use on Instagram and on my blog), I’ve made a cardboard template that I slide under the signature area. I like to sign my name, then my screen name, and sneak in a date. Then last, I put my city and state. I use a size 08 Micron Pigma Pen. The freezer paper keeps it stable while I write. Peel off the freezer paper and send the signature block with your beemate’s blocks. 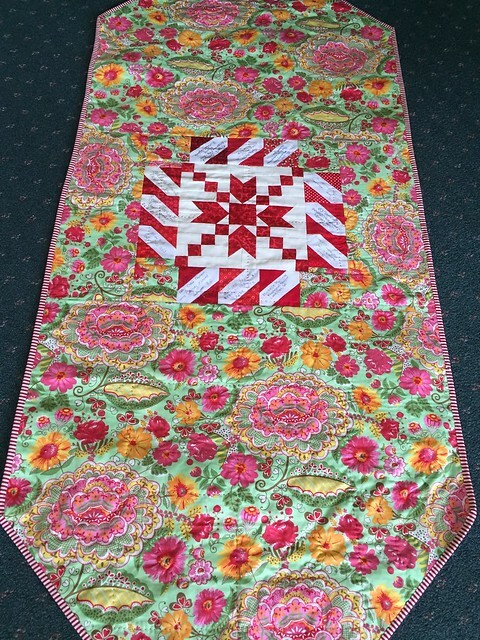 Pingback: Gridsters Bee • January 2017 | OccasionalPiece--Quilt! Pingback: Solar Eclipse Block • 2017 | OccasionalPiece--Quilt!